More than 400 firefighters have been battling 40 bushfires across New South Wales. The state’s rural fire service commissioner, Shane Fitzsimmons, said field reports indicate “numerous properties”, including homes, sheds and other outbuildings, had been damaged or destroyed by out-of-control bushfires on February 13. Much of the damage has been caused by bushfires in the small towns of Tingha and Tabulam, both in the north-east of New South Wales. Strong winds and high temperatures have combined to create “difficult conditions” for firefighters. One of the fires in Tabulam was sparked when a woman decided to burn rubbish despite a statewide total fire ban. The woman has been charged with intentionally causing fire and being reckless, and will appear in court later this month. The bushfire at Tingha has burnt 6,288 hectares so far and was spreading quickly in multiple directions under strong winds. Deputy commissioner Rob Rogers tweeted on February 13 that it had been an “awful day” for firefighters and residents in the Tingha area. 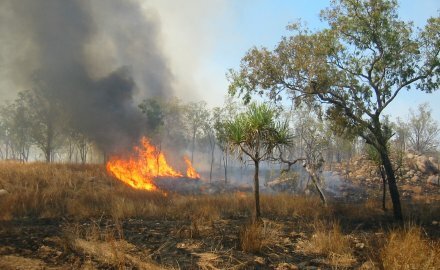 Bushfires are common in Australia in the summer but conditions are particularly poor after a blazing heatwave across the country over the past month. January was the hottest month on record in Australia. Meanwhile, Australia’s insurers and reinsurers are still dealing with the recent devastating flooding in Townsville, Queensland. Brisbane-based Suncorp saw after tax profit at its insurance division fall 40% to A$133 million (US$94.5 million) in the first half of the fiscal year (six months to December 2018), from A$222 million in the prior corresponding period. The result was impacted by an increase in natural hazard claims costs and the negative impact of investment market movements, partly offset by an improvement in underlying margins.